Pep was our first. 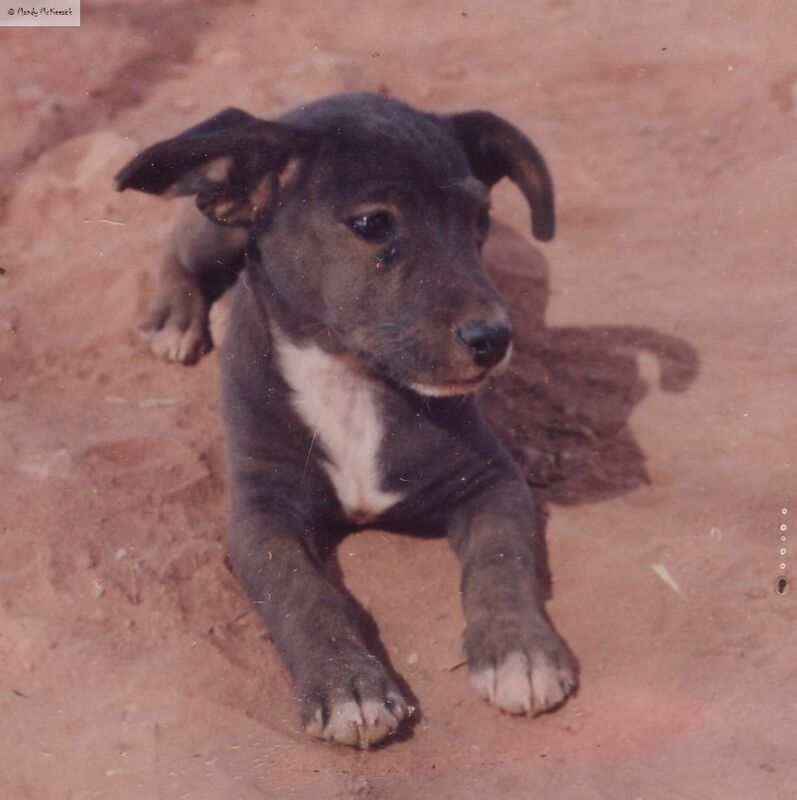 He came along in 1993 when we were living in Karratha in Western Australia. 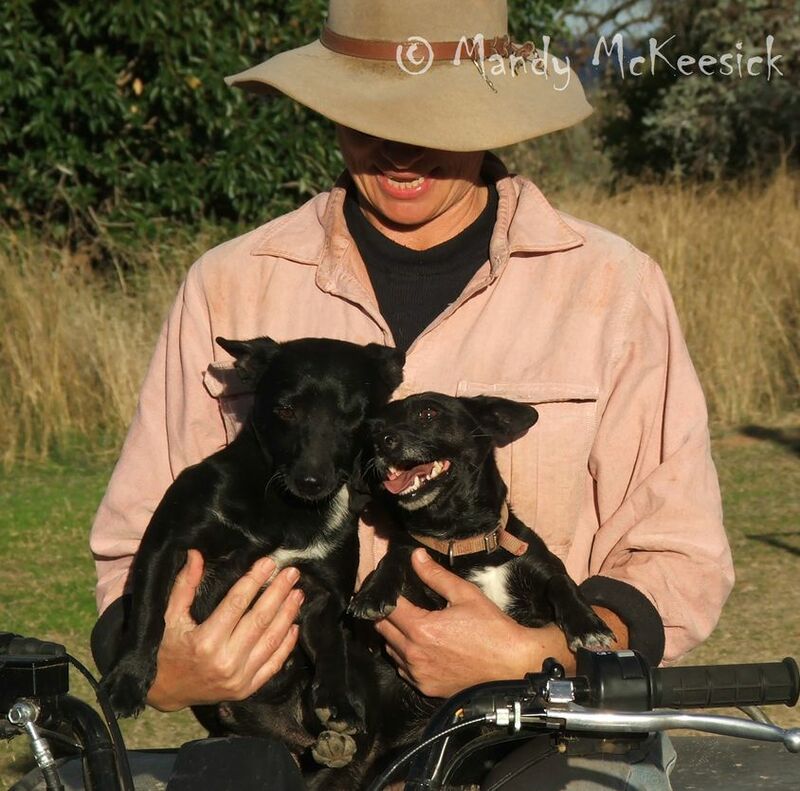 running off with dingoes, scrapping with pit bulls or romancing at the Menzies Pub. Pep was with us when we travelled the north of Australia with a ute and a couple of swags, and when we went abalone diving on the south coast of New South Wales. When we moved to Braeside, near Tenterfield, he gained a second zest for life and turned to goat chasing and peacock harassing and at the grand old age of 13 he became a sanctioned father. 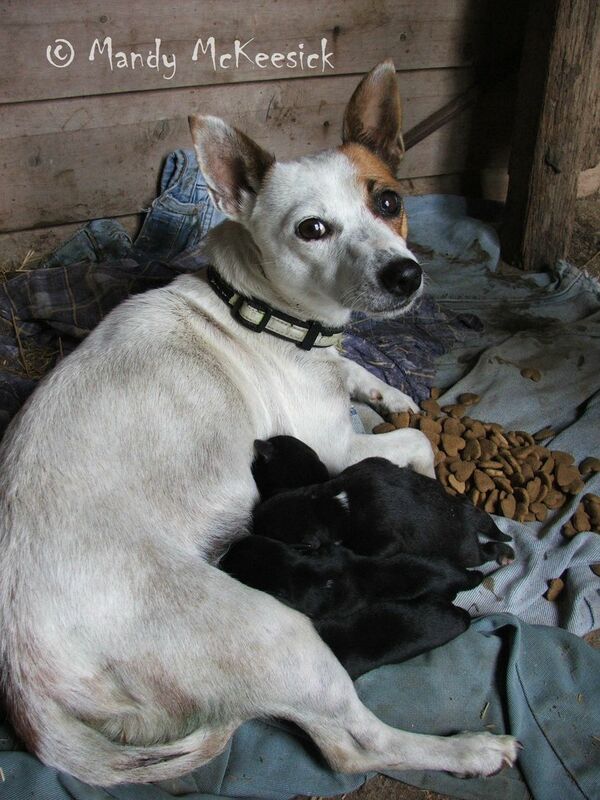 Roxy was a foxy who lived down the road and she thought Pep was a bit of all right until the pups came along, and then she wanted nothing to do with him. In a moment of madness we kept two pups from that litter. 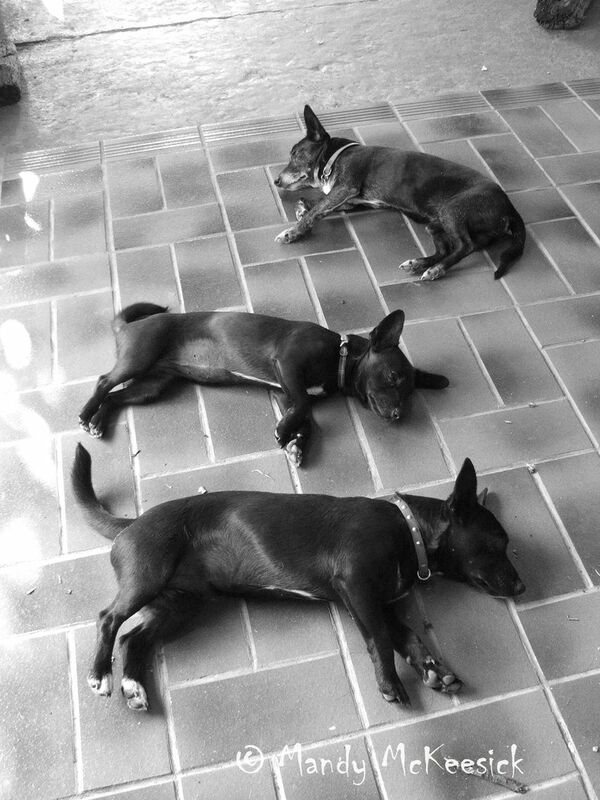 The two pups became Bonnie and Clyde, and as per their namesakes they grew into miniature outlaws. If we thought one fox terrible was trouble then we were certainly in for an education with an extra two. and anything else that chooses to draw breath and move. And they are merciless. And it is pointless for me to yell at them because they just think “Oh, great Mum is joining in” and then double their efforts. So I shouldn’t have been surprised when I had Bonnie and Clyde with me in the paddock the other day and they took off after a kangaroo. The roo was injured and the fox terribles cornered it up a gully. 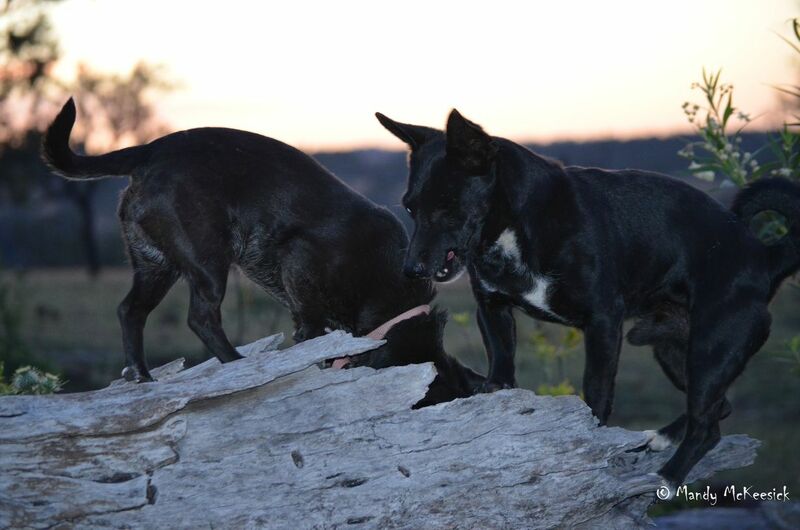 The roo would pin one dog down and start biting it (they have very sharp front teeth). This caused the second dog to jump into the fray, so the roo let the first one go and started chewing on the second. 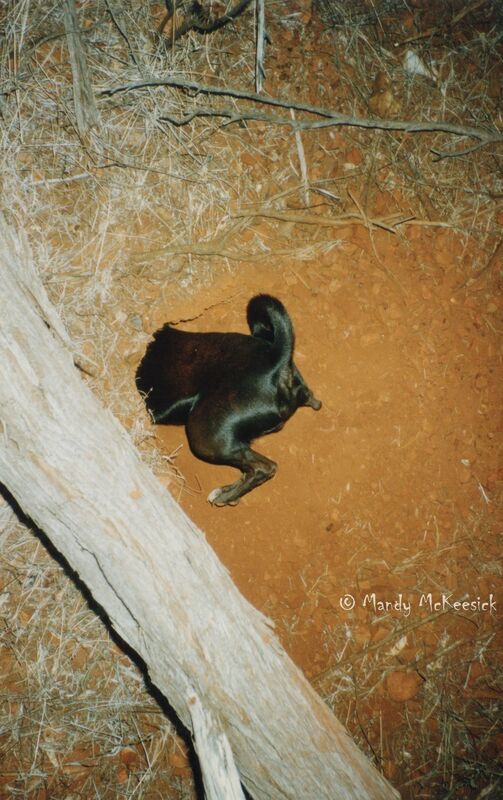 At one point the roo managed to throw off both dogs and then it jumped into a waterhole; followed by two fox terribles. The dogs would then take it in turns to swim out to the roo, bite it, get bitten and swim back to shore. That was until the swimming roo grabbed Clyde and held him under water to drown him. I had heard about roos killing dogs this way and here it was happening before my eyes. It seemed like minutes but was probably only seconds until Clyde wriggled free. Thankfully the roo had held him under long enough to almost exhaust him and he staggered onto the bank at my feet where I was able to grab him. Bonnie, never as brave on her own, also came within striking distance and I grabbed her as well. And there I sat on the creek bank, holding two manic fox terribles as the poor roo made its escape. Ten minutes later the blood-lust had subsided enough for me to release the dogs and, cursing that we ever thought this was a good idea, I took them home. I wonder if I could send them to that lady from Kuripapango to teach them some manners? This entry was posted in Hound Dogs and tagged fox terribles, kangaroos drowning dogs, Kuripapngo, miniature fox terriers. Bookmark the permalink. 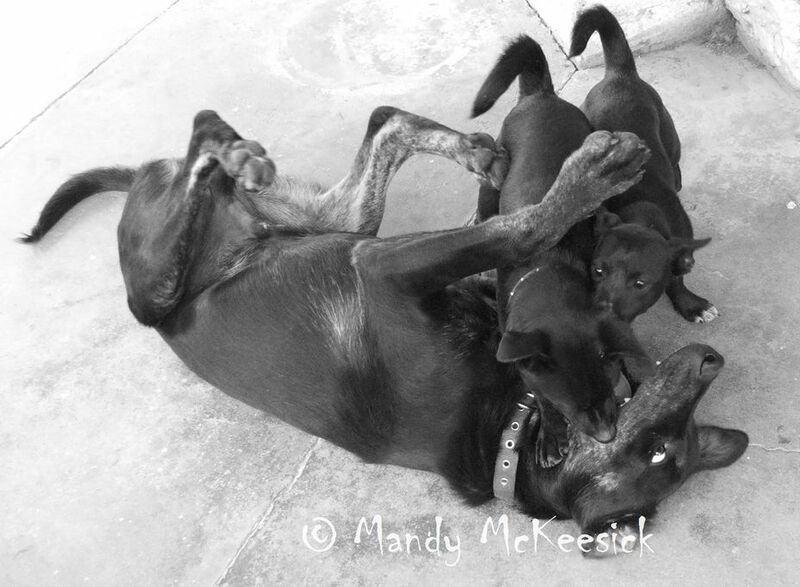 Those pups of yours would make a wonderful book, Mandy! It would have to be X-rated with all the swear words I would have to use! They also think they are bullet-proof. Despite the great story and protesting bad behaviour, I’m guessing these aren’t the last ones you own. Am I wrong? Lyle, at the moment Bonnie and Clyde are the last fox terriers we have, but if we want some more aggravation we have plenty of other dogs. How many can I send over to you?